Today, I reported some refreshment signs of a Google update but things solved out a bit but Thursday morning was spiking higher. In WebmasterWorld thread Trigger up again with lot of more feedback and conversation from webmasters about Google varies. I am listening to several reports on Twitter as well. I'm seeing quite dramatic changes in SERPs today, I suspect quite a major update of some sort is crunching... too early to tell if it's Panda. 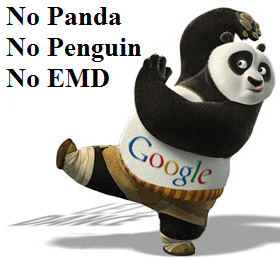 There are various rumor around some peoples was saying that its EMD, some think Panda and Penguin, but it is tough to tell if it’s anything at this time. Presently, all the automated monitoring tools don’t display anything but they haven’t updated with Monday's outcomes. Guys keep your eye out for the tools including MozCast,SERPs.com and SERP Metrics. It's not Panda. We asked around a little bit and didn't uncover any other likely suspects, but remember that Google launches over 500 algorithmic changes per year, so there are always small changes rolling out.